Clean, Updated and Move in Ready! Awesome Floorplan with master suite split. 3 spacious bedrooms, 2 full bathrooms, Living Room - Dining Room, Family room with Fireplace. Kitchen has center island, perfect for family living and entertaining. Inside utility room includes washer and dryer. Large covered patio, private back yard with block walls. 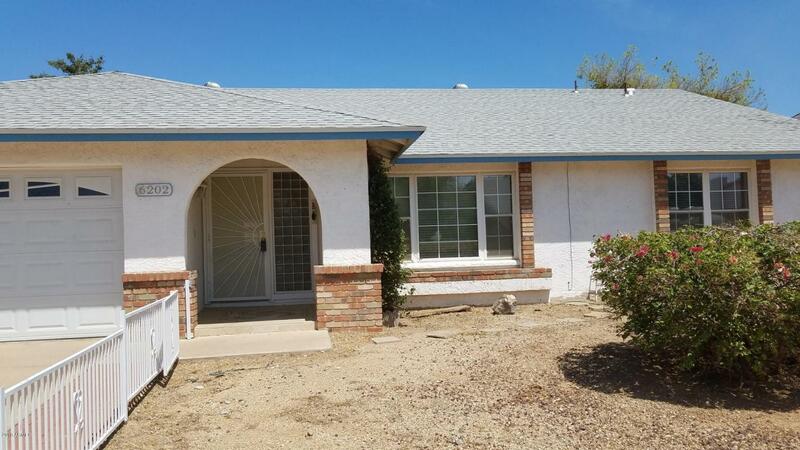 Updated - Air Conditioner, Roof, Covered patio, Flooring, Shower doors, Exterior doors, Double pane windows. Great family neighborhood and school district.